As 2015 draws to a close, the Yothu Yindi Foundation is able to look back on another big year of achievements. This year’s Garma was another truly wonderful event, the most successful we have hosted yet. Each year, the YYF Board seeks to break new ground within the program created for our guests, while remaining loyal to our grassroots beginnings and the traditions of the local clans of northeast Arnhem Land. Our Key Forum continues to elevate issues important to both Indigenous and non-Indigenous Australians on the national political agenda, while our Youth Forum grows in scope and size as we seek to challenge the energetic young minds who journey to Gulkula each year. Once again, our guests were captivated by the ceremonial performances on the bunggul grounds each evening, and YYF takes great pride in these magnificent displays of cultural heritage, helping to reinforce the importance of community ownership. 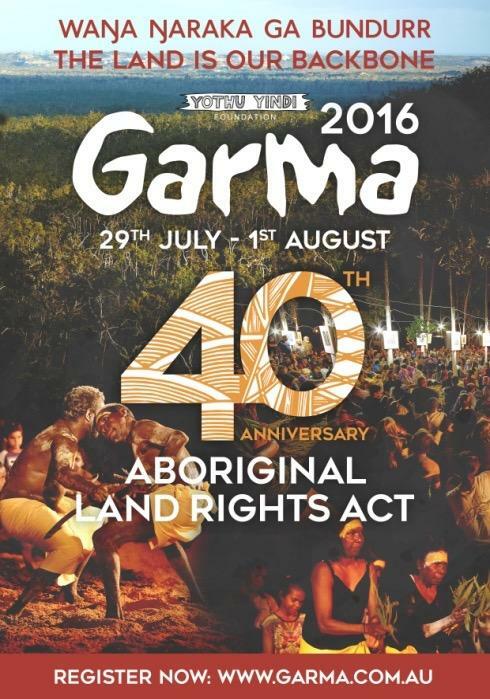 As we near the New Year break, rest assured that preparations are already well underway for Garma 2016, as we come together to mark the 40th anniversary of the Aboriginal Land Rights Act. The Yolngu people have historically played a vital pioneering role in the birth of the land rights movement in Australia, and in many ways the nation still looks toward Arnhem Land to lead the way on land ownership issues. 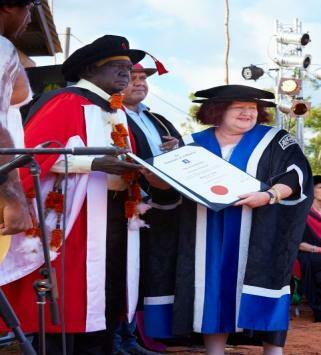 Undoubtedly one of the more memorable highlights of the year was the conferral of an honorary doctorate by the University of Melbourne to YYF chairman and Gumatj leader Dr Galarrwuy Yunupingu AM, in recognition of his lifetime of advocacy for Indigenous rights. The conferral ceremony was a unique event for our Garma guests, with the academic glitterati dressed in full regalia and flowing robes. 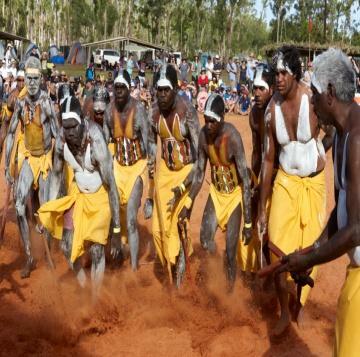 Making the ceremony a stand out event, the Yolngu culture was prominently displayed via the traditional body paint & headwear, a blending of two cultures on the bunggul grounds. Once again, the Garma audience was made up of guests from disparate parts of Australia and the world, with some coming from as far as Poland to partake in the Garma experience. YYF is extremely proud that we are able to showcase this beautiful part of our country to such an enthusiastic and diverse audience. For the first time in Garma history, New South Wales replaced Victoria at the top of the tree in terms of numbers of guests making the trek north for our event. The fact that so many people from NSW and Victoria put in the time and effort to journey to this remote pocket of northern Australia is a vote of confidence in the event we stage. Thank you to all who help contribute to this success. 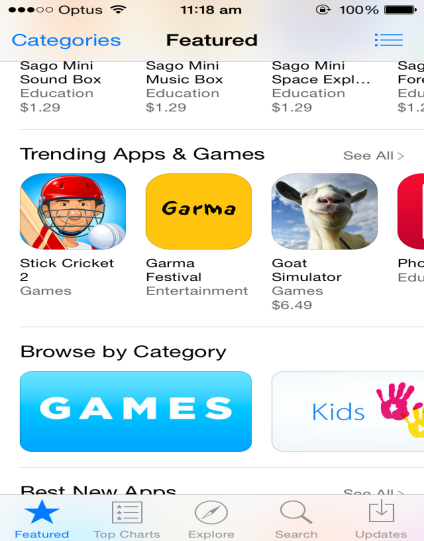 YYF took a brave new step into the digital world this year with the launch of the first-ever Garma app. With limited promotion for the pilot trial, we were blown away with the response - nearly 1300 users, and more than 30,000 screen views. Such was the success of the app that it was trending during the event. The app gives those who are unable to make the journey to be with us at Gulkula the chance to experience Garma at their finger tips. Elsewhere in cyber-sphere, YYF will refurbished its website, giving us a fresh overhaul for the 2016 period. Our Garma You Tube channel continues to flourish and we are pleased that people continue to access and view Key Forum speeches and other content long after Garma has finished. The Key Forum is growing from strength to strength and while we’ve always know that there is an appetite for this type of serious policy discussion, we keep working at better ways to deliver this important Garma stream. 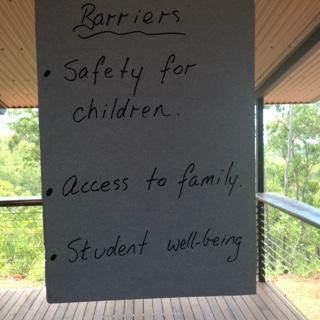 Education is at the heart of everything YYF does, and this year, working with the Northern Territory Department of Education, we co-ordinated a series of four Education Community Engagement Stakeholder meetings for the NEAL region. Government has commited to constructing the Residential Boarding School Facility in the township of Gove, and there is much ongoing work to manage as a community as this facility becomes a reality. There is much taking place in this space after the Northern Territory Review into Indigenous Education made recommendations for improving its system of delivery, particularly for the more remote sectors of the NT. YYF would like to thank everyone who has been a part of these meetings, and we’d like to encourage more local input as we continue to work with the Department of Education again next year. The vision from our Board has been to ensure that the Department of Education has an active and continued presence at the table, and is accounting for changes taking place locally by keeping the community abreast on matters that will affect families in the Arnhem region. 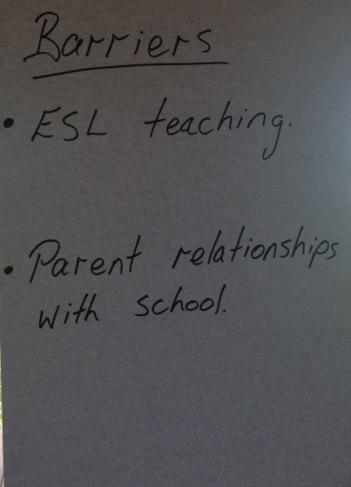 The Department implementing reform is now providing parents with a broader range of educational options for their children in the NEAL region. As the series of Education meetings began in March, attendees availed themselves of the opportunity to direct a broad range of questions to the CEO of the Department of Education, Ken Davies. It is re-assuring to have the most senior educational bureaucrat attending these meetings, and it indicates that the Department is fair dinkum in its approach to making reform happen. The meetings also provided government with feedback from community representatives on issues that had not necessarily been at the top of government’s agenda. The information provided back and forth have been priceless, and it has helped to clarify both community and governments future approach. Meanwhile, the latest local school data tells us basically the percentage of kids from Gunyangara and Birritjimi have enrolled this year at either Nhulunbuy Primary or Nhulunbuy High School and attendance is stable at around 70% and rising. At the latest parent night, about 70 Yolngu men and women were in attendance. Congratulations to the Gunyangara community who built their school campus in 2010/11 - a remarkable feat achieved purely by commitment, drive and ownership by the local community. Special congratulations to the following people who have been education masters this year, helping the kids along the way: Sonya Yunupingu, Fabian Gurruwiwi, Nigel Yunupingu, Jean Gurruwiwi, Janet Gurruwiwi, Roberta Gurruwiwi, Lynette Marika, Murphy Yunupingu, Leoni Gurruwiwi, Dela Yunupingu, & Fiona Djerrkura. On the 7th December Prime Minister Malcolm Turnbull wrote a formal response to the Empowered Communities report submitted to the government eight months ago. On behalf of the Australian Government, the Prime Minister has welcomed the opportunity to work with the eight EC regions to implement locally-focussed models. 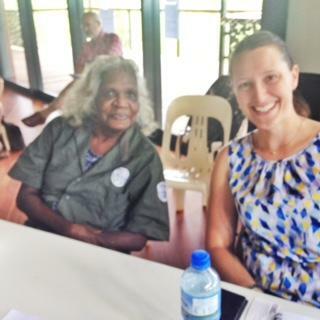 NE Arnhem Land is one of those eight regions and the Dilak Council was submitted as being the most appropriate and practical way forward for the local community, its people and the region as a whole. The Prime Minister has now delegated Minister Nigel Scullion the task of being responsible for the future of ongoing Empowered Communities development. Minister Scullion has also formally responded to the Empowered Communities concept, reiterating the Prime Minister’s endorsements. 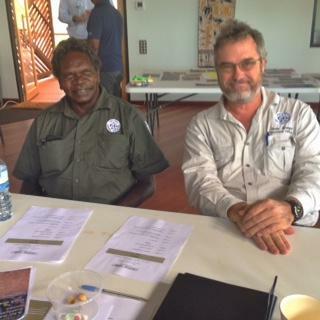 Minister Scullion is keen to embrace the opportunity to work with EC leaders at the regional level to jointly agree on priorities and practical projects that promote indigenous responsibility. 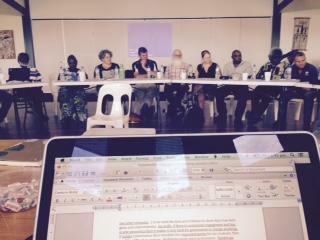 The Yothu Yindi Foundation will continue to work with local organisations & government in the new year. YYF will convene an EC meeting early next year, where local stakeholders will be called upon to assist with future implementation. 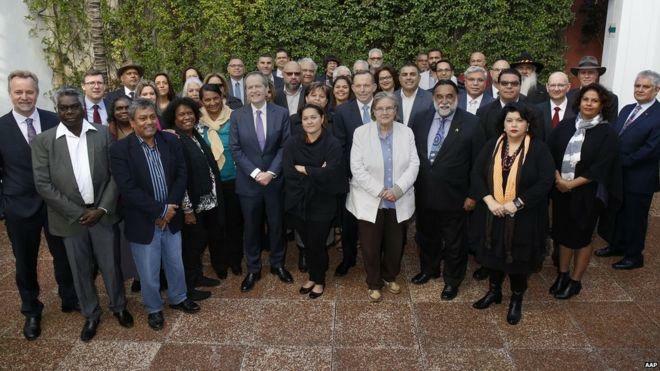 The Yothu Yindi Foundation fielded three representatives at the July meeting between Indigenous leaders and the Prime Minister and Opposition Leader at Kirribilli House, held to discuss the next steps in the lead-up to a proposed referendum on the Constitutional Recognition of first Australians. 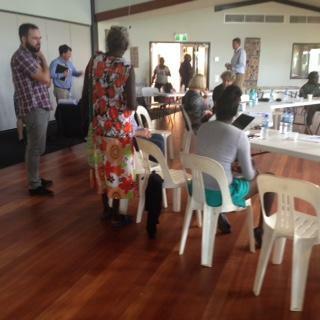 Mr Djawa Yunupingu, Ms Djapirri Mununggurritj and Mrs Denise Bowden were among the 40 Indigenous leaders present at the four-hour meeting. With a new Government now in place, Prime Minister Malcolm Turnbull has revived momentum on constitutional reform by recently announcing the composition of the Referendum Council, which will guide the next stage in the process. 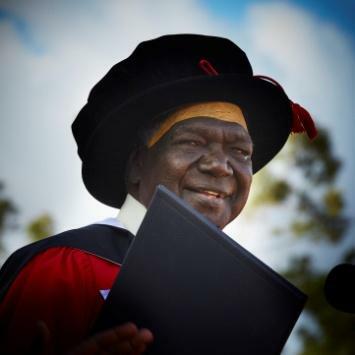 YYF chairman and Gumatj leader Dr Galarrwuy Yunupingu AM is among those who were appointed to the Council. Remember tropical cyclones Nathan and Lam? 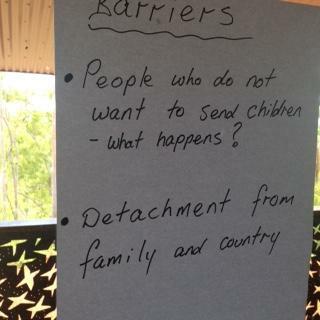 Both battered the Arnhem region in the early part of this year, resulting in significant costs to Territorians. Many of our friends and families were affected by these natural disasters, with homes lost and significant damage to buildings, land and infrastructure. The Gulkula ceremonial grounds where Garma is staged resembled a game of ‘pick up sticks’ after the cyclones, and it took considerable time and effort to get the site into shape before we could accommodate the 2000 + Garma guests we host each year. Late last month, members of the YYF board and executive undertook a week-long trip through Canberra, Sydney and Melbourne to meet with key stakeholders and further preparations for Garma 2016. We are pleased to report that it was a successful mission, and there is every reason to get excited about the possibilities which next year holds for Arnhemland. With Parliament due to rise for the summer break, we met with Indigenous Affairs Minister Nigel Scullion, shadow spokesman Shayne Neumann, Minister for Rural Health Fiona Nash, and Labor senator Nova Peris, and reaffirmed our commitment to working with both sides of the political fence on the issues atop our agenda. Each year, YYF receives a lot of feedback on the marketing and promotion of Garma, and we take this feedback very seriously. We take great pride in how Garma is represented, and ensure we remain loyal to the people and its region. With the help of our official photographers, Peter Eve and Melanie Faith-Dove, each year we pull together some of the most spectacular imagery from the Gulkula site and its surrounds. In addition to capturing the raw natural beauty of the Arnhem region, the images also highlight some of the significant cultural aspects of Yolngu life, which most Australians aren’t familiar with. The posters from Garma this year provided a glimpse of the local people, the clan spirit, the intergenerational transfer of knowledge, and the colour, beauty and natural influences taken from the bush. Are you a 2016 Garma volunteer? 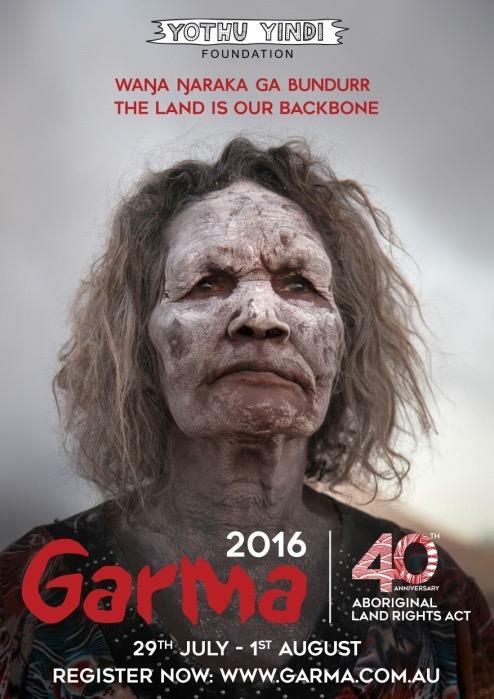 Already we have begun the call out for 2016 Garma volunteers. 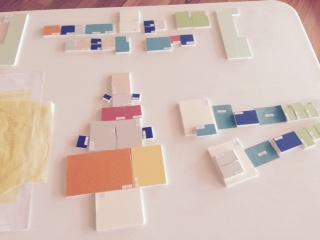 We’ve had half a dozen applications via our online facility. We have a fairly stringent selection process that applicants are required to step through, however if readers are interested. For those who have already sent their applications through, please be advised that we will be in touch once police checks and working with children cards have been processed with government departments. Volunteer roles, and general Q&A can be found online at the link above. The office fields a number of requests from individuals and organisation’s regarding expo stalls, advertising in our Garma booklet, sponsorship, musical performance at Garma & assistance to help deliver Garma. If you’ve got an idea you think we might like that will benefit our event, the region and its people – then pop it in an email and send it over to Trephina Bradley at admin@garmafestival.com.au. Over the years we’ve had some pretty extraordinary requests. Next year’s Garma - the 18th annual event - will be a special occasion, marking the 40th anniversary of the passage of the Aboriginal Land Rights Act through Parliament. 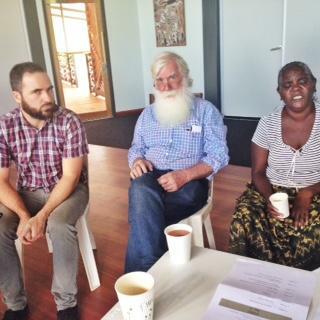 Given the central role that the Yolngu people have played in the birth of the lands right movement, and the pivotal role they continue to play in land rights issues today, Garma 2016 will be an opportunity to reflect on the wins and losses along the way, and map out the next steps in ensuring land ownership can deliver social, cultural, economic and other benefits to Indigenous communities across Australia. 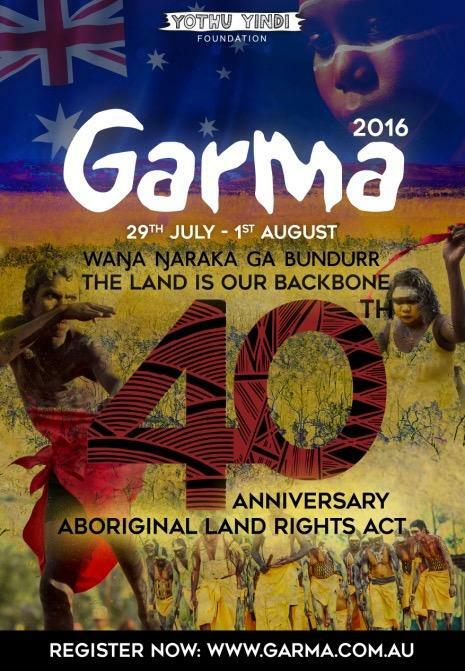 With that in mind, the theme for Garma 2016 is: The Land Is Our Backbone. Registrations have opened early for next year’s event, and with Garma a sell-out each year, YYF encourages you to get in early if you intend joining us. It should be noted that a Northern Territory public holiday falls on the Monday, 1st August, so please consider this when making your arrangements. As we sign off for another year, we’d like to once again thank our sponsors and partners for their ongoing support - Garma would not be what it is today without your contributions. YYF will close office for the festive period on the 24th December. We’ll be back behind our desks again at 8:30am Monday 11 January, 2016. We wish each and everyone a very Merry Christmas, a safe and happy holiday season and we look forward to joining you for another exciting year ahead.